A group of alcohol and cannabis companies in Canada have formed an alliance in order to push for industry reforms once marijuana edibles are legalized later this year. 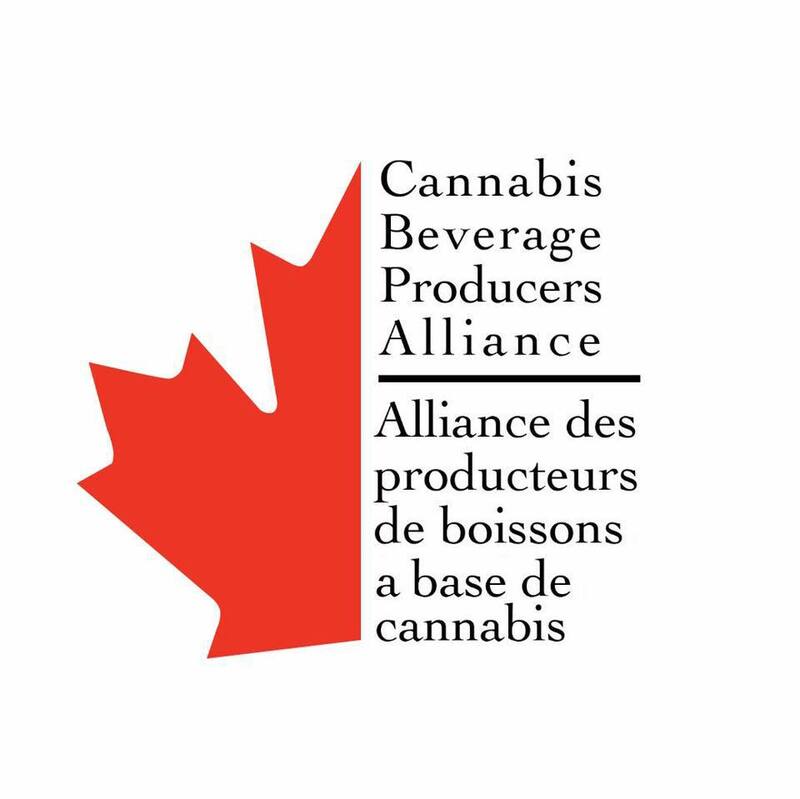 The Cannabis Beverage Producers Alliance, made up of 10 member companies, is calling for changes to the way cannabis-infused drinks are made. As it stands, Health Canada published draft regulations in December 2018, opening up a 60-day public consultation period which ended February 2019. The final guidelines are expected to be published in the late summer ahead of the legalisation date of 17 October 2019. Among its demands, the group is calling for the government to change its rules about where cannabis drinks can be produced. The draft regulations stipulate that cannabis-based drinks must be made in a separate facility from where non-cannabis beverages are produced. The CBPA is arguing that the cost of creating separate facilities will prove a “significant barrier” for those entering the industry, particularly those on a smaller scale. It is also demanding the loosening of guidelines surrounding the marketing of such products, allowing companies to use the words ‘wine’ and ‘beer’ in relation to cannabis-infused drinks. It hopes existing alcohol brand names will also be allowed to be used in conjunction with names for marijuana-based drinks. The draft guidelines state the following: “It is proposed that the amended regulations would also prohibit all representations that associate a cannabis product, its packaging or its labeling (including its brand element) with an alcoholic beverage. For example, it would be prohibited to use terms related to alcoholic beverages, such as “beer” or “wine,” on cannabis products. Members of the group include Truss Beverages, Hill Street Beverage Co., Collective Arts Brewing, CanBev and Province Brands. Recreational cannabis was legalized in Canada in October 2018, making it the second country after Uruguay, which passed legislation in 2013, to impose such a measure. Edibles, or cannabis-infused food and drink products, will be legalized later this year. Cannabis drinks sales in the US are set to pass the $1 billion mark within four years, a new report has claimed, as loosening regulation attracts greater innovation and investment. In Canada, it is hoped legalising the drug will raise C$400m a year in tax revenue. 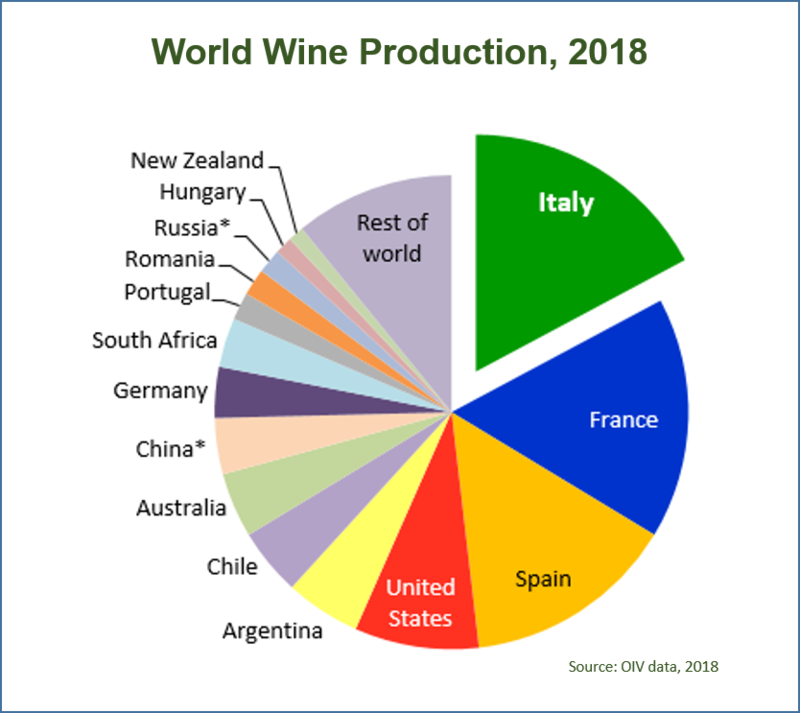 Among the drinks companies that have already invested in the cannabis sector are Constellation Brands, Southern Glazer’s Wine and Spirits and Molson Coors. 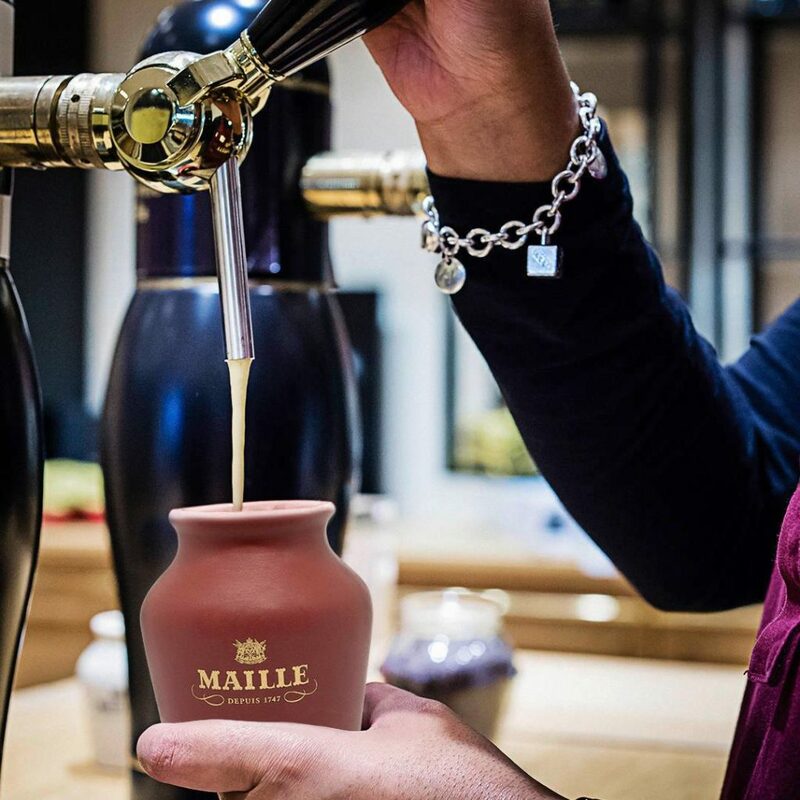 Dijon-based Maille believes the pink drink trend is here to stay with its spring launch of Provence rosé and grapefruit mustard. This limited-edition condiment comes packaged in traditional stoneware 125g jars, while in the US 4.4oz and 8.8oz jars are being sold. “fruity, light and acidulous premium mustard of medium strength”, it has been created to mix into a vinaigrette to “bring out the freshness and fruitiness of a prawn, grapefruit, cucumber and avocado salad”. Maille also suggests using it for marinades or grilled dishes as well as with ceviche. Provençal rosé, grapefruit purée, strawberry puree, raspberry purée, dried grapefruit, lemon juice concentrate, beetroot juice concentrate and blackcurrant purée as well as mustard seeds, mustard flour and honey. Canada’s 100 Best Restaurants announced this week the 2019 ranking of Canada’s best restaurants as voted by 98 food critics, leading chefs, top-notch restaurateurs, elite diners and food fanatics from coast-to-coast. The definitive guide to Canada’s finest restaurants was released tonight at an awards gala held at The St. Regis Hotel in Toronto. Hosted by Jacob Richler, Editor-in-Chief, Canada’s 100 Best Restaurants, and chef Ivana Raca – partner at all female-run Ufficio restaurant – the evening saw the nation’s most renowned and respected chefs, restaurateurs, sommeliers and food lovers gather to celebrate the country’s vibrant culinary scene. Setting a new record, Toronto’s Alo was named the best restaurant in Canada for the third year in a row. Alo’s chef and owner, Patrick Kriss – who also owns two other restaurants on this year’s list, Aloette (35) and Alobar (65), took home the title of Canada’s Most Outstanding Chef. Canada’s 100 Best Restaurants will donate on behalf of Chef Ivana Ranca to Open Kitchen Toronto (OKTO) – a dinner series that puts female chefs front and centre – to raise funds for a scholarship for female-identified students at George Brown College’s Culinary Arts program. Showcasing excellence in the industry, Canada’s 100 Best Restaurants list is tabulated by professional services firm KPMG in Canada – the official adjudicator of Canada’s 100 Best Restaurants – providing voting and data verification services to help ensure the ranking remains independent and accurate. 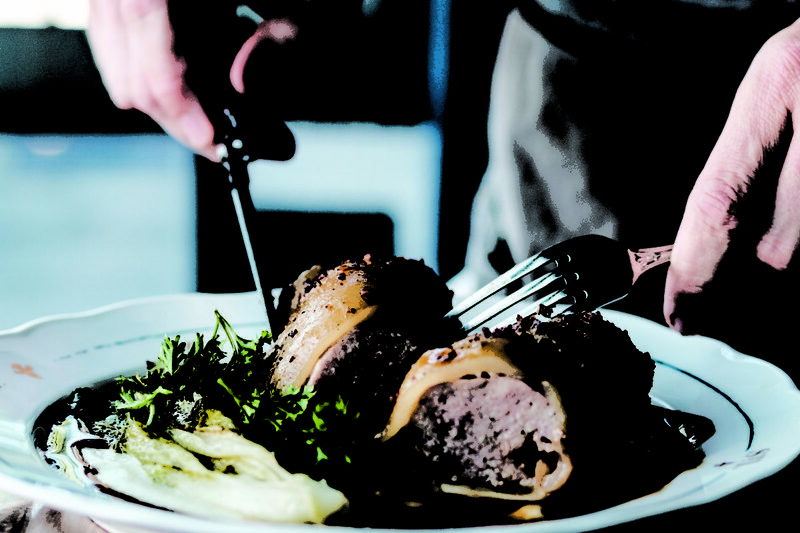 The annual list is renowned for being an unbiased metric of restaurant quality in Canada and represents the consensus of the diverse, knowledgeable opinions of 98 judges including Canada’s top chefs, restaurateurs, journalists, and food industry insiders.